Keith Johnson will take over in the New Orleans Baby Cakes' dugout for the 2019 season as the 16th manager in franchise history, and will be joined on the coaching staff by pitching coach Jeremy Powell, hitting coach Justin Mashore, defensive coach Chris Briones, athletic trainer Greg Harrel, and strength and conditioning coach Robert Reichert. Johnson has accumulated 679 career wins as a manager, two-thirds of which have come at the Triple-A level in seven seasons at the helm of the Salt Lake Bees. Johnson debuted as a manager in 2008, the first of three seasons managing at the Single-A level in the Angels organization, culminating in a California League Championship Series appearance with Rancho Cucamonga in 2010. 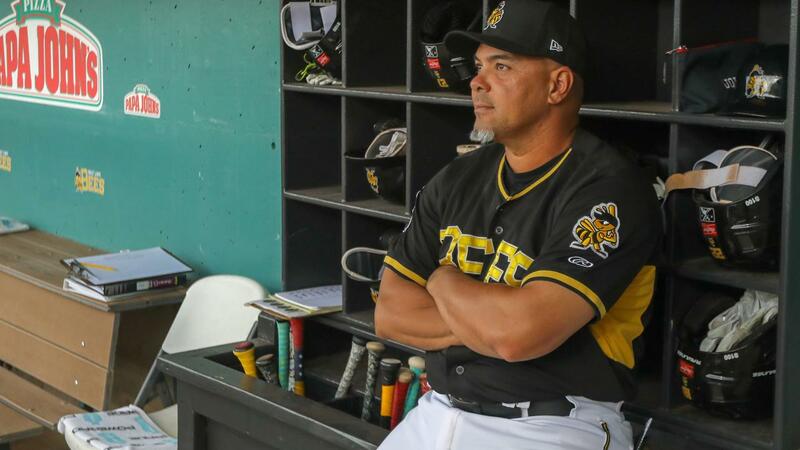 The 2013 Pacific Coast League Manager of the Year, Johnson compiled a 468-504 record as the Bees manager and was just three wins shy of equaling Phil Roof's franchise mark for managerial victories when he was promoted to the Angels' major league staff last August. A fourth round selection by the Dodgers in the 1992 draft, Johnson spent the final two seasons of his 12-year playing career in Salt Lake, having reached the majors with the Anaheim Angels in 2000. Briones also joins the Marlins from the Texas Rangers, with whom he was the system's catching coordinator for the last four years. Briones originally joined the Rangers in 2012, serving for three seasons on the club's professional scouting staff, and began his coaching career in 2007 as a hitting coach in the Arizona Diamondbacks organization. A member of the University of Oklahoma's national championship team in 1994, Briones was a 26th round draft choice of the Rangers in 1995 and played four seasons in the minors as a catcher. 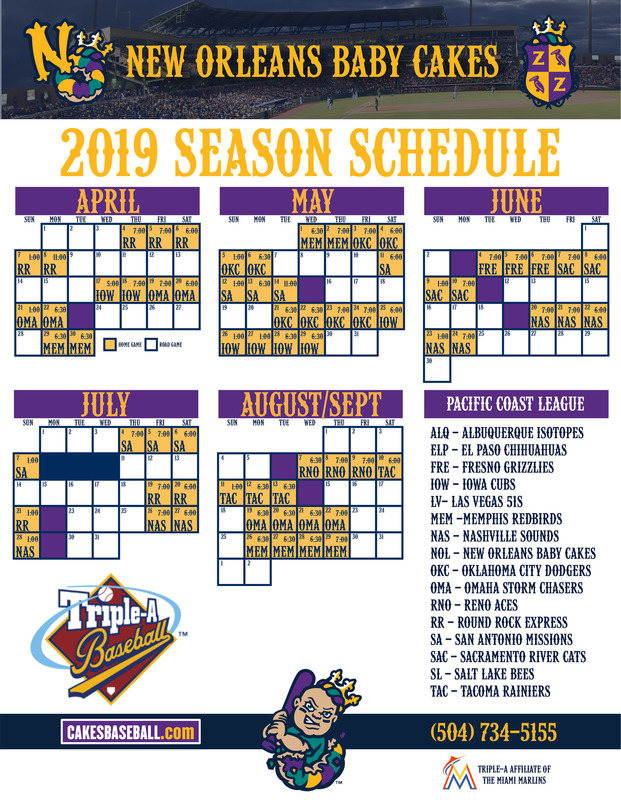 In his second stint in the Marlins organization, Harrel is back for his third season in New Orleans following 10 years in the Los Angeles Dodgers organization, the last two of which were spent with Triple-A Oklahoma City. He was on the Dodgers' major league training staff from 2012-13, and previously worked as the Marlins' Triple-A athletic trainer in Albuquerque in 2004. Reichert has served as a strength and conditioning coach in the Marlins organization since 2012 after receiving a kinesiology degree from the University of Louisiana-Lafayette, and was with Double-A Jacksonville in 2016-17 before joining the Baby Cakes' staff last year.